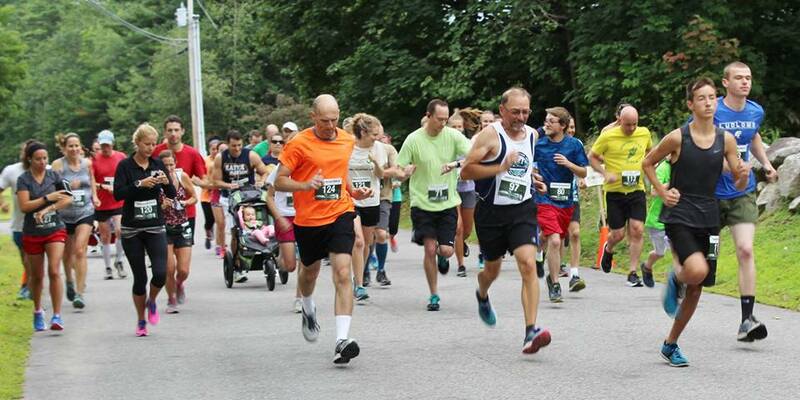 The 15th Freedom Old Home Week Road Race is a fun activity for runners and walkers of all ages and abilities. We strive to provide accurate timing, but having a fun race is our #1 priority. 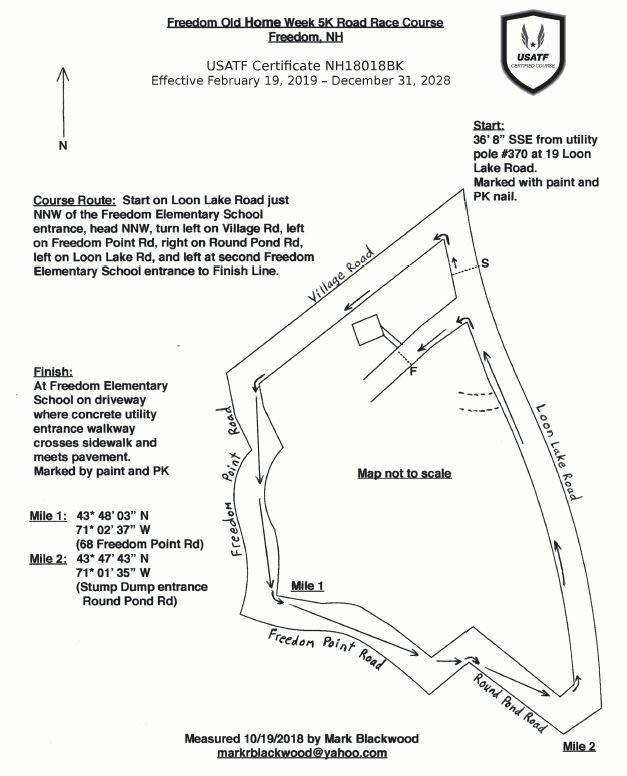 5K Race Course: Begins and ends at Freedom Elementary School, 40 Loon Lake Rd, Freedom NH 03836. Course starts on paved road with an incline; remainder of course is dirt road, shaded, and mostly flat. See map at bottom of this page. Prizes: Ribbons and bragging rights for top three finishers in each division and category. Race t-shirts for all preregistered participants. Food: Refreshments provided for all racers. Kids Free Fun Run: For all ages under 14! The race course loops around the school grounds and town ball field. Preregistration is not available; register morning of race with a parent or legal guardian. Preregistration is available up to August 3. Fee is $15. Only preregistered participants are guaranteed to receive a race t-shirt. Your registration and payment must be received no later than August 3. Late registration is available after August 3. Fee is $20 and includes a race t-shirt only while supplies last. Late registration is also available on the morning of the race at the race site (cash, checks, and credit cards accepted). Online with PayPal or credit card. Go to our 5K Online Registration page. By mail. Download a registration form here. Checks may be made payable to Freedom OHW 5K. Mail your registration form and payment to: Old Home Week, PO Box 359, Freedom, NH 03836. Questions? Contact Nancy at fohw@yahoo.com or at 603-730-4814. All proceeds support Freedom Old Home Week events.